With a rental car Jordan can be discovered at your own pace and you can visit places where travel agencies would never take you. 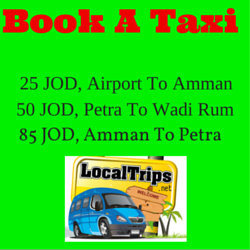 Rent a car and hit the roads of Jordan! 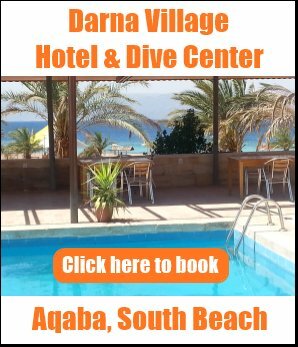 Major international car rental companies like Alamo, Avis, Europcar, Hertz, Thrifty as well as some local rent-a-cars have branches in downtown of Aqaba. Others, with offices in Amman only, also offer car collection service from Aqaba for additional cost or even free of charge. This practical search tool is the easiest and fastest way to compare rental car offers. Click here to start! have a credit card of your own name. Jordan has an extensive network of good quality roads and highways. There are no tolls in Jordan. There are three roads connecting Aqaba in the south with Amman and North Jordan: the Dead Sea Road; the scenic Kings Highway connecting the capital and Aqaba via Madaba, Karak, Tafilah and Shobak; and the Desert Highway, which is a 2+2 lanes highway. Road signs on the highways are in Arabic and English. Brown signs are directing to tourist attractions. There are no restrictions on women driving in Jordan (unlike in neighbouring Saudi Arabia). Compared to Europe, fuel prices are low in Jordan. Click here to see the up-to-date gasoline prices and petrol station locations in Jordan. Insurance: a basic Collision Damage Waiver (CDW) is usually included in the rent and you can buy extra coverage, Theft Protection and Personal Accident Insurance at extra cost. Check it when you make enquiries. The general emergency number of the police is 911. Rental cars are not allowed to cross the border of Jordan. If you wish to leave Jordan by road, arrange a pick-up service from the border station with your car rental company. You may only drive rental cars with your international driving licence. If you want to drive a private car, you will need to obtain a Jordanian driving licence. Most car hire companies offer child seats but you have to order it in advance when you make your booking. In Jordan it is not mandatory for children to travel in safety seats. Road accidents are the second leading cause of death in Jordan - after cardio-vascular diseases - mostly because of bad driving habits like speeding, not using seatbelt and child seats and the inproper use of lanes. The goverment has started several campaigns recently to change bad driving habits and there are many police and speed cameras out there on the roads. So pay extra attention to speed limit signs and also to the fellow drivers and pedestrians. According to Jordanian law, a driver is always guilty if they hit a pedestrian. If you are involved in such an incident, you could be put in prison and be liable for the payment of hospital bills and other compensation to the victim's family. Also make sure you drive according to the weather conditions, especially during the winter months and at higher altitudes. Livestock (sheep, goats and camels) crossing the roads are also common, even on the Desert Highway. 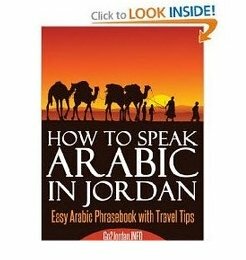 Do you have any tips and hints to share about hiring a car in Jordan? Please add them in the comments below! Printed maps of Jordan are available in bookstores, at the Aqaba Online Bazaar on Amazon and your car rental company can also provide you with some roadmaps. There are also various navigation apps available for smartphones. Use this free search tool to quickly locate the best car rental offer available today.